This environmental dumping of clunkers is negating the emissions improvement in advanced markets. We were visiting Maitama, a posh neighbourhood in Nigeria’s capital city of Abuja. Our taxi driver, who was doubling as a guide, suddenly pointed towards an automobile workshop where technicians were busy repairing and refurbishing used and worn-out cars. This is where one can buy a car of any model or brand available elsewhere in the world for just one-fourth of the rate, he said with excitement. On the face of it, the deal offered by the workshop seemed lucrative and reasonable. But what such deals really hold hit us quite hard during our next halt in Lagos, another populous city of Nigeria. As we moved bumper to bumper on a gridlocked street, we were engulfed with choking fumes from smoke-belching vehicles all around us. We experienced similar snarling traffic and chocking vehicle fumes throughout our journey in several African cities including Nairobi, Addis Ababa, Dare Salam and many more. This also brought back memories of similar experiences on the streets of South Asian cities such as Dhaka in Bangladesh. Importing old and polluting vehicles, some of which are unfit for the road, is how the low- and middle-income countries are embracing automobiles. The ill-effects of this thriving international used car trade are overshadowed by the glitz of the new vehicles across the world that are constantly adding to the already inflated global fleet of 2 billion. “The market for used cars exists because developed countries want their industry to thrive and ensure market for used cars to promote uptake of new cars. 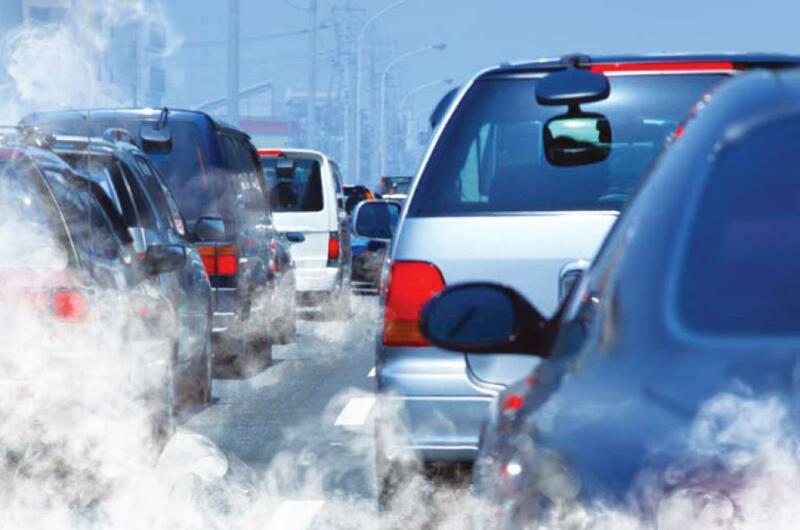 And developing countries want access to affordable cars,” says Muitungu Mwai, principal compliance and monitoring officer and in-charge of air quality section at Kenya’s National Environment Management Authority. The scale of dumping from the rich countries to the poor is overwhelming. Back in 2014, it was estimated that globally about 40 million vehicles a year approach their end-of-life, which is 4 per cent of the total global automobile ownership. A lot of these get traded to low- and middle-income countries. This number is expected to explode as the global automobile fleet is slated to double by 2050 on the back of growing economy and aspirations for four-wheelers, estimates the International Energy Agency. A 2014 World Bank estimate shows that the vehicle ownership rate in Africa, though much lower than the world average, is rapidly increasing across cities. In Kenya’s capital city Nairobi, car fleet has doubled in the past six years. While Addis Ababa saw a 6.6 per cent increase in its car fleet in 2015 alone, Lagos is expected to see an 80 per cent increase in vehicle numbers from the current level in the near future. Sadly, this meteoric increase in car fleets in most African and South Asian cities is fuelled by old imported vehicles. According to the Deloittee Africa Automotive Report 2016, as much as 90 per cent of the new sales in Nigeria in 2015 were second-hand vehicles. In Ethiopia and Kenya, the share of second-hand vehicles in 2015 was 85 and 80 per cent, respectively. The countries of Africa and Asia are thus becoming scrapyards of the world. Besides congesting the roads, the old vehicles also emit enormous pollution on roads, posing serious health concerns. Already, the “State of Global Air 2018”, has shown that North Africa has the highest concentration of population weighted annual average particulate matter; Nigeria is in the lead. Several cities of Africa are violating the World Health Organization (WHO) guidelines by several times. South Asian cities have some of the worst air pollution episodes. Vehicles are responsible for one of the greatest exposure to toxic emissions. A 2015 study by non-profit International Council on Clean Transportation (ICCT) has projected that the high emitters, which include old cars, can become the largest contributor of particulate matter emissions globally by 2020 especially from Asia, Africa and Latin America. As new vehicles become sub-stantially cleaner the older fleet becomes disproportionately responsible for high emissions. Old vehicles have outdated power train technologies that are high on fuel consumption and carbon dioxide (CO2) emissions. There are concerns around the safety of old cars. Efosa Peter Osawe, a safety engineering officer with Nigeria’s Federal Road Safety Corps, says their analysis has found that most road accidents involve old and used imported cars. Even though the global trade in used vehicle is substantial, the international trade data is not maintained separately for old and used vehicles. The International Trade Centre statistics of the World Trade Organization shows that African countries import vehicles from over 17 high-income countries spread across continents. Of them, Germany, Japan, the US and South Korea are responsible for the lion’s share of the fleet. In South Asia, vehicles largely flow within the contiguous regions of Asia with the biggest exporters being Japan, China and India. 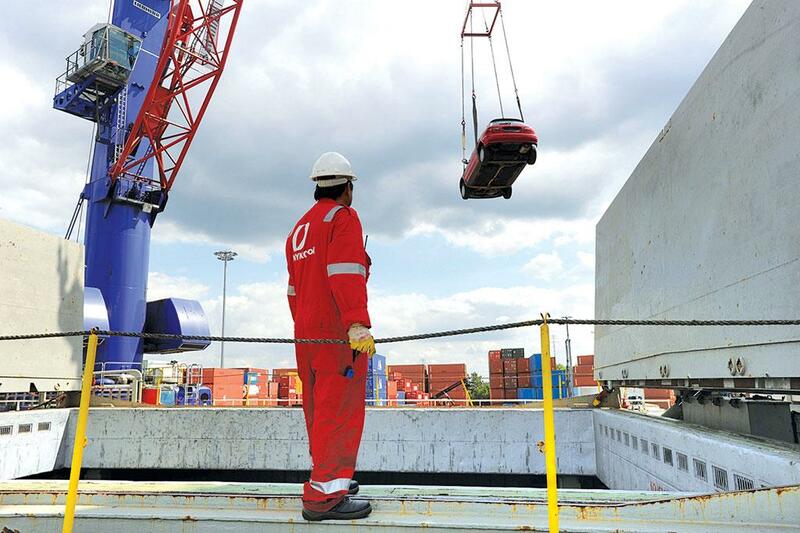 Vehicles change several hands even within the domestic markets of exporting countries. Consulting firm Ricardo-AEAT estimated in 2015 that in the European Union (EU), 94 per cent of the cars have a second life, 87 per cent have a third life and about 27 per cent have a fourth life. Experts say that vehicles that are less than four years old and have substantial economic life left may be traded, but in practice, vehicles that are nearing their end-of-life or are damaged are also sent to low-income countries. “Most used cars are auctioned on automarts via the internet with no controls by the government. The unregulated market allows sale and purchases disregarding the age of the vehicle,” says Anthonia A Ekpa, director, Road Transport and Mass Transit Administration, Federal Ministry of Transportation, Nigeria. It is a no brainer that poorer the country higher is the average age of vehicles. The average age of a car is less than eight years in developed countries, whereas it is 12-17 years in Africa and South Asia. Owing to strict regulations in developed countries, says a 2017 United Nations Environment Programme (UNEP) background paper on used vehicles, second-hand vehicles have poor domestic value in developed countries, and as a result, are exported to countries with lax regulations. For example, in Japan, after a vehicle turns three years old, it must get an inspection every two years under its fitness programme, which is expensive. So, many vehicle owners in Japan sell vehicles after five or seven years of usage and most of these second-hand vehicles find their way into low-income countries. Disposable fleet of older vehicles will continue to increase as stricter regulations are adopted in high-income countries including end of life regulations, low emissions zone programmes, diesel car bans, and stricter emissions inspection programmes. What makes this dumping easy is the fact that in most African and South Asian countries, emission standards for vehicles and fuel quality are lax. While 11 countries in South and East Africa have adopted cleaner 50 parts per million (PPM) sulphur fuels, the rest are still using from 500 PPM to upto 10,000 PPM sulphur fuel. Without the requisite fuel quality, the region cannot improve emissions standards for import of used vehicles. There are even anecdotal evidences of yards in Japan, Europe and West Asia where advanced emissions-control systems are removed from the vehicles before exporting them to Africa. In contrast, in South Asia, vehicle importing countries like Nepal, Bhutan, Bangladesh and Sri Lanka, have adopted cleaner Euro II and Euro III standards for vehicles and they largely source vehicles from within Asia where exporting countries like Japan have progressed considerably, while India and China have also improved their emissions standards. This has helped the region to improve the overall stock.